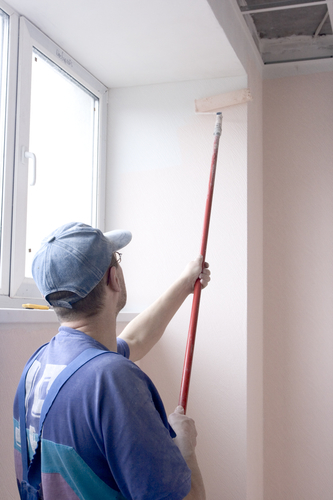 Painting your home can be a major undertaking or an easy way to make a small change. Whatever your purpose, it’s important to make sure that you approach the project from the right standpoint. At Armend’s Painting and Home Improvement, in Hartford, CT, our painting contractors strive to provide clients with tips that will make their project a success. There are three common color mistakes that people make when painting and how you can avoid them. Painting the room is about experimentation. It’s a chance to start over and refresh the room with a new look. If you enjoy a neutral appearance, we suggest adding a contrasting shade to break up the monotony and allow the lighter shade to pop. The same concept is applied if you select a bolder color. Avoid marrying the room entirely to one shade — it’s an easy way to become bored, and it may limit your interior design options. Try to create some balance by adding a contrast color to the ceiling or the baseboards. Don’t make the mistake of selecting the wrong finish when you’ve finally settled on the perfect color. If the wall has some imperfections, our painting contractors recommend choosing a flat finish that won’t reflect light and call attention to those areas. The next step up is an eggshell finish, which is an excellent choice if you want to avoid shiny walls but still want some added intensity that flat paint can’t provide. Semi-gloss paint is ideal if you’re using a darker color, as it brings out the vibrancy and allows it to stand out even more. Painting the ceiling white is common, but that color is often too plain and clinical for most residential settings and can wash out the space. Opt for a shade that’s more warm and inviting, such as cream or almond. It will open a small space nicely, and it provides better contrast to a variety of hues, whether the rest of the room is light or dark. The painting contractors at Armend’s Painting and Home Improvement recognize that it can be tough to select the perfect shade when you’re faced with so many options. Our team is committed to making your home improvement project a success, whether you’re painting a kitchen remodel or completing a full interior painting project. For more information about how we can help you, visit our website. You can also give us a call at (203) 597-7179 to speak with one of our friendly staff members. Why Have Your Roof & Chimney Inspected Annually?